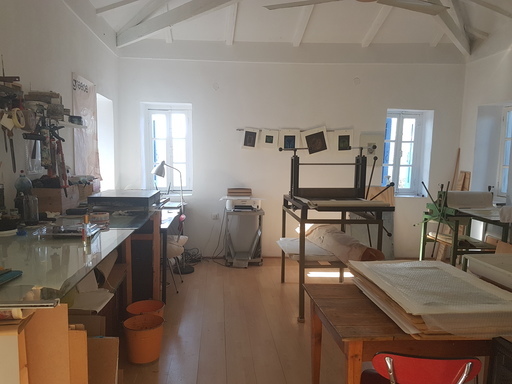 From next year on, I will give a printmaking course, if succesful on yearly base, in my studio in Greece. This course is ment to get deeper into printmaking and allso for those who want to learn more about the mezzotint technoque. You will be able to learn a lot about printmaking in a week time. Because there is only room for 5, do not hesitate long. Untill the end of december there will be a reduction in price.